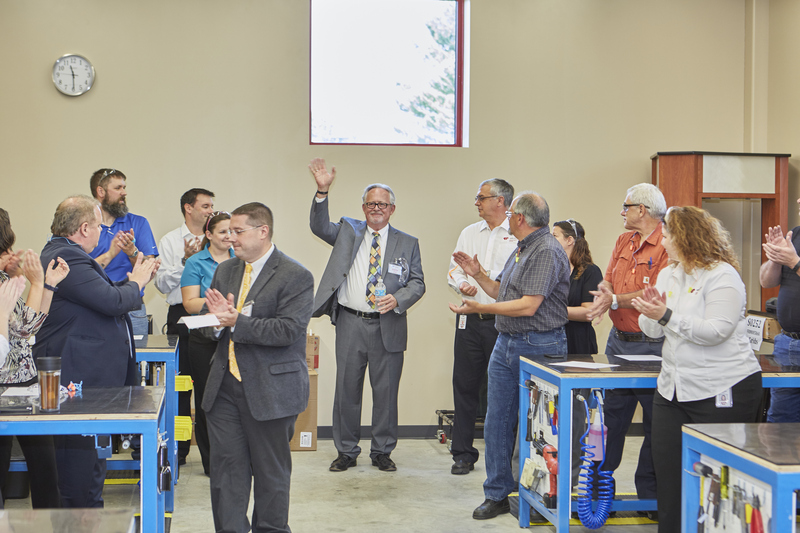 Wausau Window and Wall Systems celebrated the opening of its new production training laboratory on Aug. 23, 2016. Funding for the new lab was coordinated through the City of Wausau's Economic Development Committee with a training grant from the Judd S. Alexander Foundation, Inc. The Office of the Mayor and the Wausau Region Chamber of Commerce also have been supportive of Wausau Window and Wall Systems' employee and economic development programs. Earlier this year, the Judd S. Alexander Foundation approved a proposal for construction of Wausau Window and Wall Systems' training lab with the goal of bringing new jobs to Wausau. The training grant was awarded in 2014 after the acquisition of Custom Window in Denver. "For 60 years, our company has engineered and manufactured high-quality products in Wausau. Since the Denver acquisition three years ago, Custom Window by Wausau historical windows have been a great addition to our product line," said Jim Waldron, President of Wausau Window and Wall Systems. 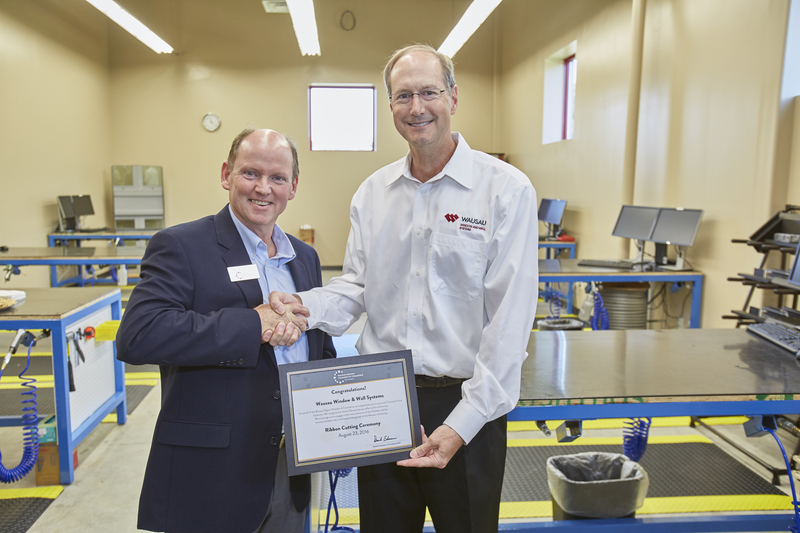 "As a direct result of the Judd S. Alexander Foundation grant, this training lab will help the new associates we hire in Wausau to build these products and much more. Thank you to the City of Wausau for their support and to Gary Freels for making this happen." 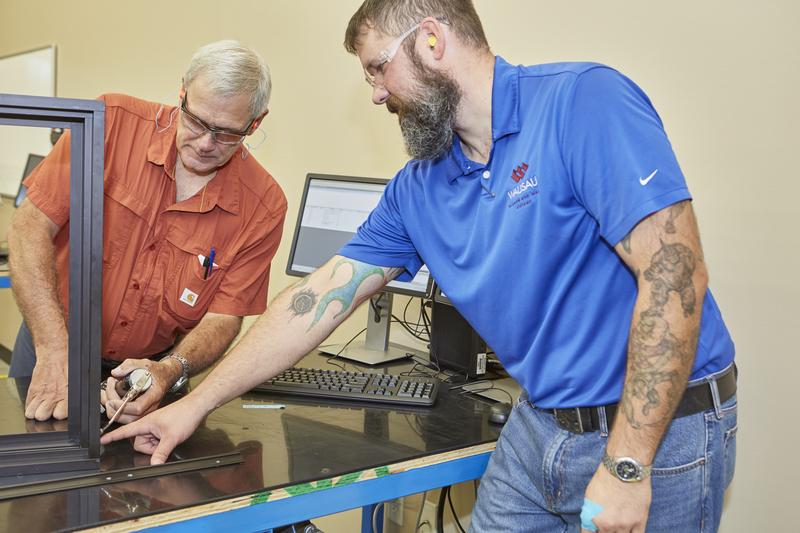 "The idea for a dedicated production training lab was a vision cast a long time ago," added Brian Vanden Heuvel, Vice President of Operations at Wausau Window and Wall Systems. "We considered it when designing our manufacturing center in 2008, but it took several years and many good people to make it possible. For it to become a reality took the Foundation, the City and a large cross-functional team within our company. Now, all of our new production associates located in both Wausau and Stratford will participate in and benefit from the lab training." 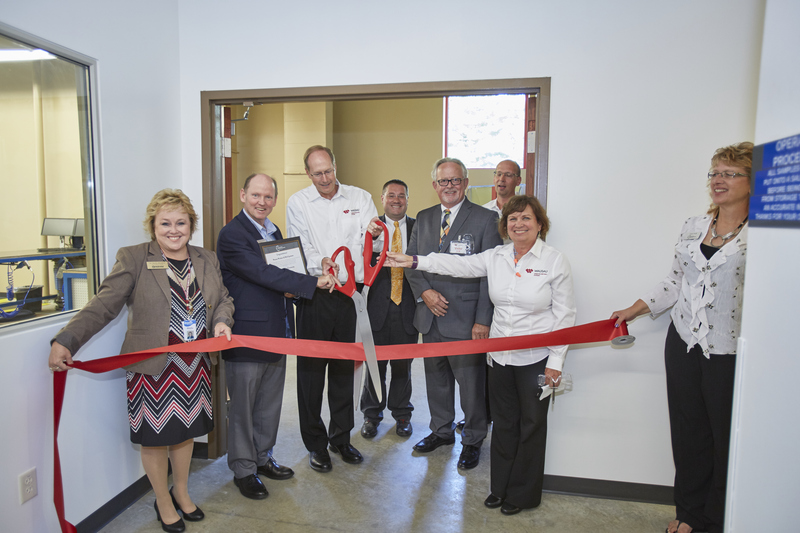 Located within Wausau Window and Wall Systems' manufacturing center and in direct proximity to its production floor, the new training lab will serve as the primary site for a four-day employee orientation and operations training program. As part of the company's continuous improvement efforts, this program significantly expands its previous orientation for new employees. It includes an overview of the business and its window and curtainwall systems; instruction on safety, quality and production flow; practice with blueprint reading, scheduling and configure-to-order technology; and hands-on sealing and glazing education. This initial training is followed by ongoing mentoring and continuing development. Supporting additional training initiatives with Wausau Window and Wall System, the City of Wausau also coordinated a grant with the B.A. & Esther Greenheck Foundation in partnership with NTC. The company has several apprentices attending classes at NTC. NTC also has developed a training series for Wausau Window and Wall Systems' team leads. Wausau Window and Wall Systems also participates on the Workforce Hub steering committee, an initiative of the Chamber's and the Marathon County Development Corporation to identify and bridge gaps between workforce and education. On behalf of the Chamber, Eckmann also noted, "It is critically important for companies to attract and retain talent. 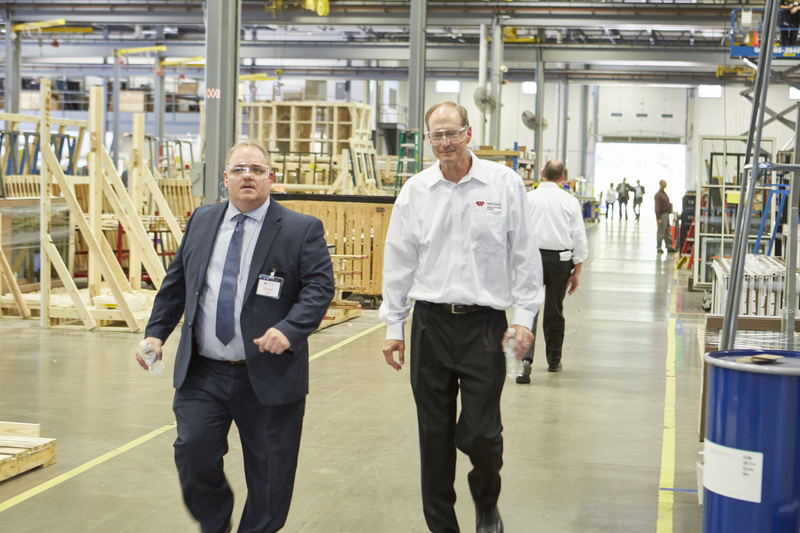 It's tremendous to see the growth at Wausau Window and Wall Systems. We congratulate you on 60 years of business, on your new training lab and on continuing to elevate advanced manufacturing in our community." For information on career opportunities, please check at www.wausauwindow.com/Careers. Caption information – Photos by Peter Vance, The Studio.